The Vision Board: Case study in how to get $1/4 Million promo for your book in 30 days or less! 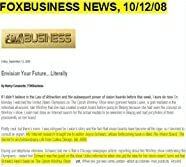 Great news a report just came into our office that documents that The Vision Board: The Secret to an Extraordinary Life garnered $1/4 MILLION in promotional value in October alone through electronic and print interviews and events online and offline. 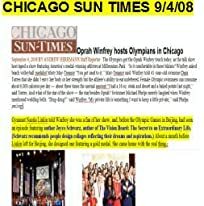 $250,000 IN ADVERTISING FOR THE VISION BOARD by Joyce Schwarz in October, 2008 alone: What does that $1/4 Million figure mean? It means that the more than 25 major interviews and articles about THE VISION BOARD is equivalent in value to $250,000 in advertising! 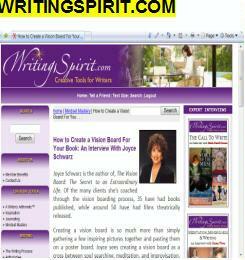 This is the first of a 2-part blog showing the outstanding promotion and publicity that THE VISION BOARD by Joyce Schwarz is getting online and offline. Thanks to the media for all of their support. Thanks to Harper Collins Publishing and Collins Design for their continued support. For more info about vision boards and tips to creating your own vision boards go to www.visionboard.info and sign up for the free newsletter. To book Joyce Schwarz to speak at your event, call her directly at 310-822-3119 or email her at [email protected]. 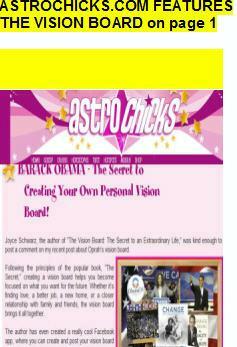 To browse inside THE VISION BOARD and see 20 free pages, go to www.tinyurl.com/seeinsidebook. KABC TV San Francisco interviewed The Vision Board featured artist Jennifer Lee on their show, the hosts are shown holding up THE VISION BOARD for the audience to see. What: Bestselling author Seth Godin returns for a February 26th webcast to answer attendee questions now that they have absorbed the 14 trends that are changing the way businesses market themselves. Godin’s new book, Meatball Sundae, outlines how whole industries are being transformed by the new marketing landscape, which represents nothing short of an industrial revolution. In his trademark style, Godin reviews how marketing used to work and explains how to use the new marketing to become a better organization: faster, more flexible, and even more fun. By the end of this hour, Godin’s clarification and answers to participant questions will have them looking at the industry of business very differently. New marketing is reshaping our world, but many companies try to use the tools without first getting their organization and products in sync with them. The result: what Godin calls a "meatball sundae" – a big, ineffective mess. This webcast will also feature Kevin Ryan, Global Content Director of Search Engine Strategies and Search Engine Watch, and is brought to you by Search Engine Strategies London and New York. In order to register and participate in this event you must buy a copy of the book, offered at a highly discounted price of 40% off courtesy of Search Engine Strategies. STARBUCKS IN VENDING MACHINES -- MUSIC NEXT? HOLLYWOOD2020.blogs.com Who's RUNNING OUR BLOGS ONLINE! Every now and then we like to check Google and Yahoo and MSN and other search engines to see who's running our recent blog posts from www.hollywood2020.blogs.com. By Joyce Schwarz, blogging at Hollywood2020.blogs.com....Note we've interspersed these posts with some pix from Google Image directory-- some are a trip-- all appeared on Hollywood2020.blogs.com -- not necessarily in the context they are shown on Google though! HAWAII SURF SIMULATOR -- When You Can't Get to the Waves! Joyce Schwarz as "star" of WEDDING CRASHERS from the make your own trailer promo. 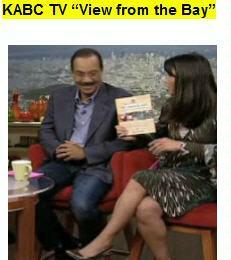 Are we the only one who blogs what's on TV -- at Hollywood2020.blogs.com we are definitely into 'telewebbing'. Even our old cellphone's bling made the Google Image directory-- archived forever! Hollywood2020.blogs.com captures it LIVE via TV of course! Time Square and a link to Joyce's story on imediaconnection.com about public spaces. a Christmas Story Film House and Museum Open in Cleveland…. Original post by Hollywood2020 and software by Elliott Back. Hollywood2020.blogs.com we’re looking forward to seeing the new NetTansor. Comment. Seen on Hollywood2020 Posted by Postmaster General. Instead of oohs and ahhs about the new Billy Graham Library now being built...there are moos out there...by Joyce Schwarz, blogging at www.hollywood2020.blogs.com REALLY..
pix shows a depiction of how the Billy Graham library will look...big discussion about the Talking Cow though! *Create a Red Sea -- with some of the illuminated projections that we've seen at Siggraph- email us and we'll link you to some ideas. *Let kids and families create roles within the church from preacher to Deacon to head of a youth group to Sunday School teacher...we saw something similar done at the CHICAGO MUSEUM OF SCIENCE AND INDUSTRY for another field --none other than HOLLYWOOD -- where families got to put on their own "MOVIE"...have the families visiting-- give their own sermons or discuss sermons of the past by Billy in roundtable discussions..get some involvement. Want more ideas-- you can find me at [email protected]. Joyce Schwarz, consultant new media and entertainment -- yes, that includes museums-- blatant self promotion for a cause we think is worthwhile!.